32oz. Ready To Use PAWS 1 FOR ALL™ Animal Repellent covers 500 square feet. Made from natural and recycled ingredients, 1 FOR ALL™ contains no petro-chemicals, is environmentally friendly, and will not harm wildlife. 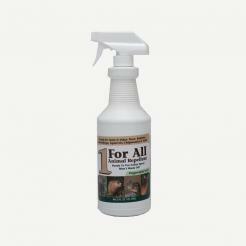 Proven to deter rabbits, groundhogs, chipmunks and voles, 1 FOR ALL™ Repellent will also effectively deter deer! 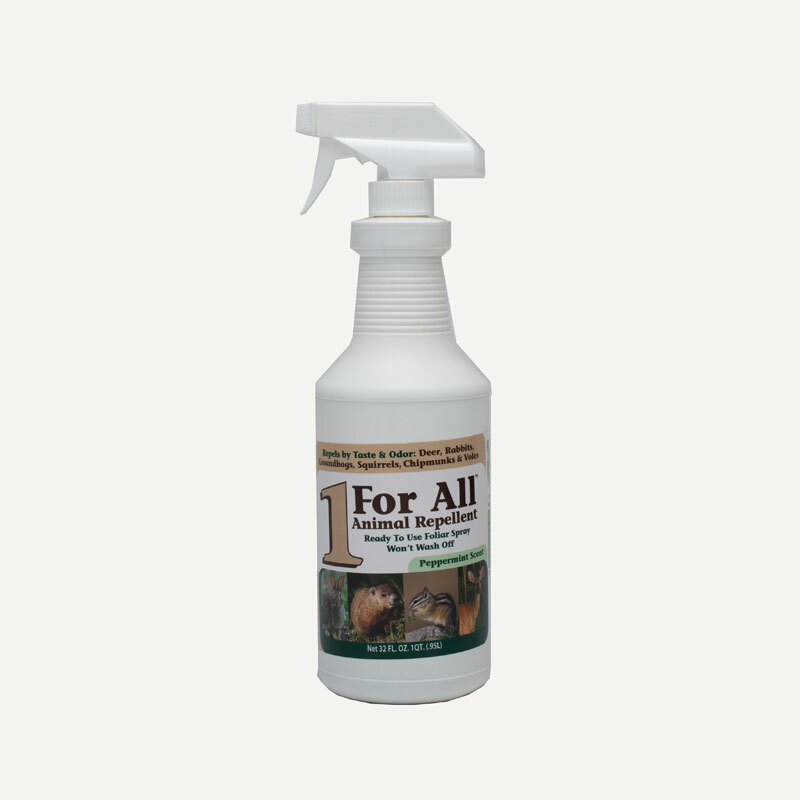 Our 1FOR ALL™ Animal Repellent is the safe, eco-friendly way tp prevent deer and rodents from eating all of your expensive produce and landscape! Tested for effectiveness for over 10 years, it is the perfect solution for those tricky spots on your property that cannot be fenced in. It's also easy to use - simply spray on your plants and flowers and you'll deter deer, rabbits, groundhogs, and other animals from destroying them.